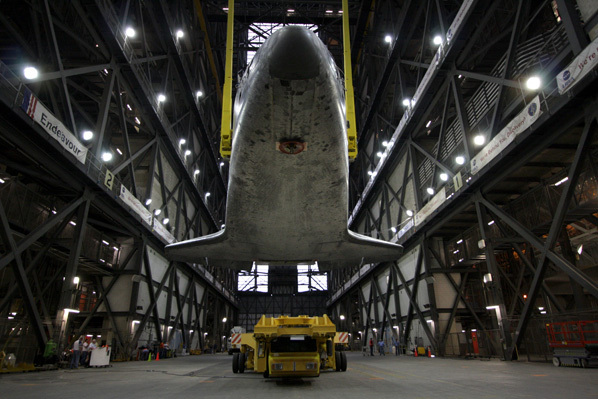 After rolling into the Vehicle Assembly Building around midday Tuesday, the shuttle Atlantis was rotated vertical to be lifted into adjacent High Bay 1, where an external fuel tank and two solid rocket boosters were ready to welcome the orbiter. 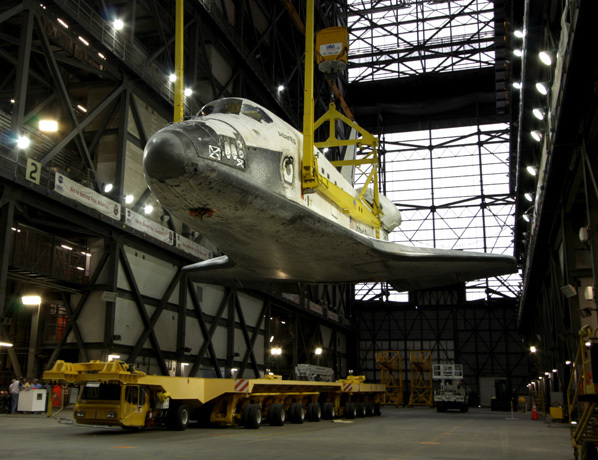 Lifting operations began around 7 p.m. EDT Tuesday, and the heavy-duty crane turned Atlantis upright about a half-hour later. 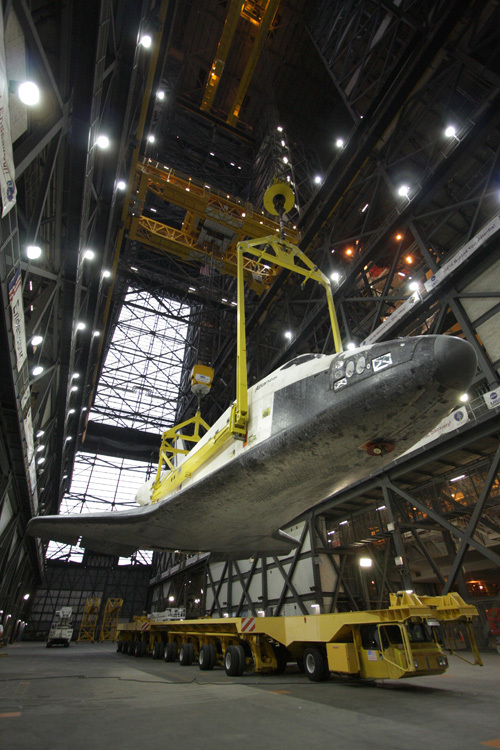 The 100-ton shuttle was raised high into the massive assembly building overnight and lowered next to three attach points on the external tank Wednesday morning. 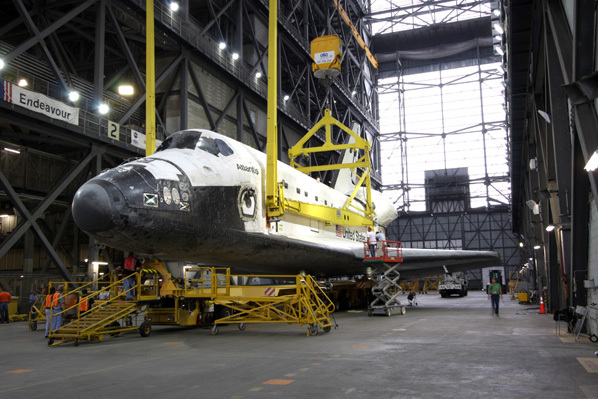 After Atlantis is firmly bolted and wired to the fuel tank, workers will transport the shuttle stack to launch pad 39A on April 20. 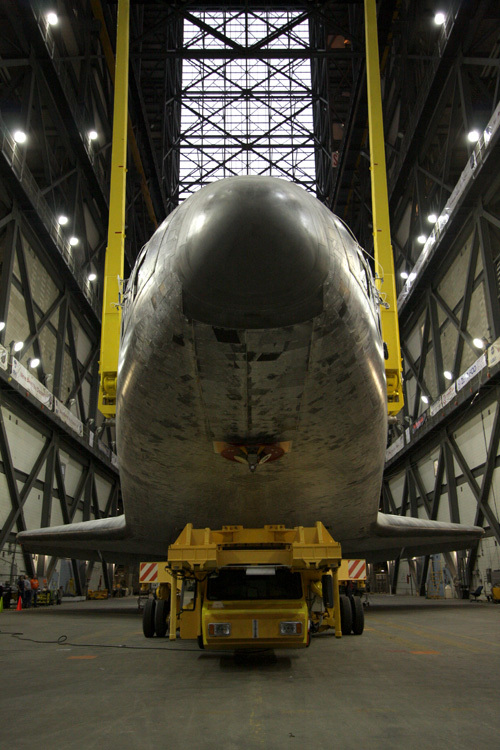 Atlantis is scheduled to launch May 14 with a cache of supplies and a Russian module for the International Space Station. 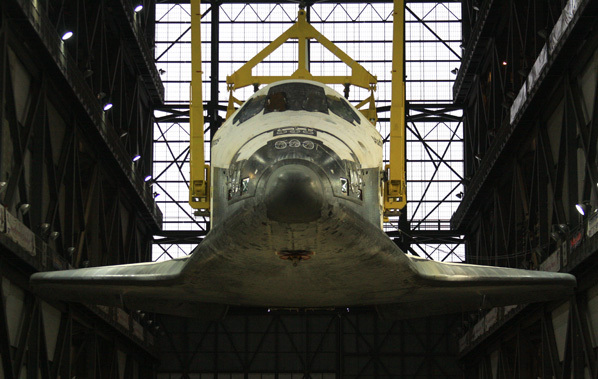 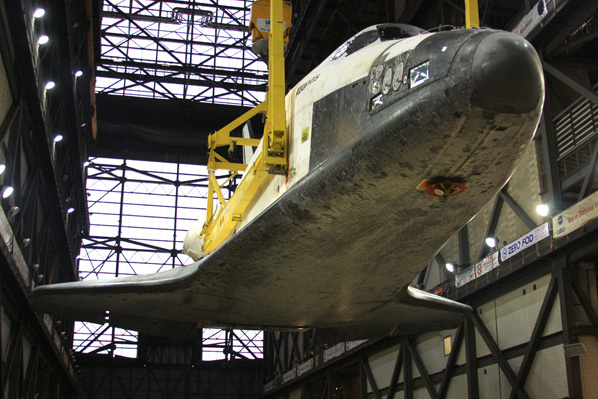 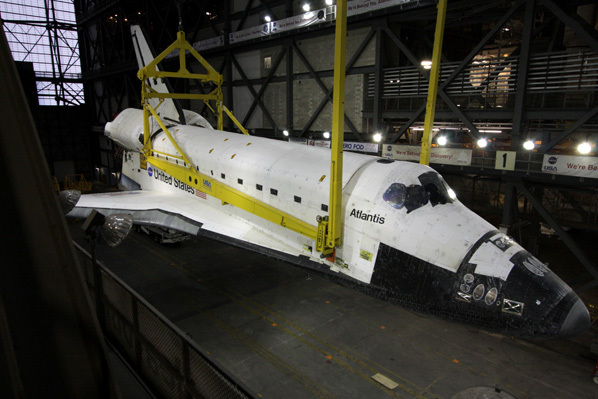 The rollover and lift operations occurred exactly 25 years after Atlantis first arrived at the Kennedy Space Center after a cross-country trip from the shuttle factory in Palmdale, Calif. Atlantis is being prepared for its 32nd and final scheduled mission.